This invaluable guide will help the historical number of eightysomethings live fulfilled, happy lives long into their twilight years. Old age is not what it used to be. For the first time ever, most people in the United States are living into their eighties. The first guide of its kind, Eightysomethings changes our understanding of old age with an upbeat and emotionally savvy view of the uncharted territory of the last stage of life. With insight and humor, Dr. Katharine Esty describes the series of dramatic and difficult transitions that eightysomethings usually experience and how, despite their losses, they so often find themselves unexpectedly happy. 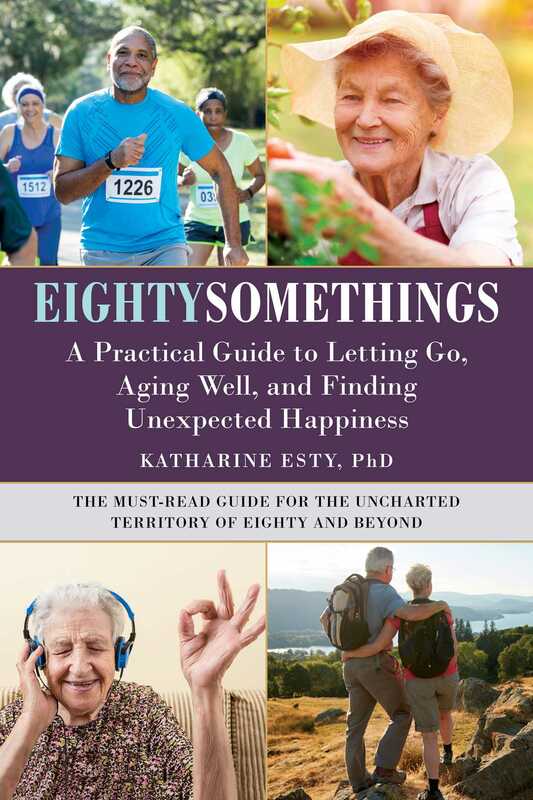 Living into one’s eighties doesn’t have to mean declining health and loneliness: Dr. Esty shows readers how to embrace—and thrive during—the later stages of life. Based on her more than 120 interviews around the country, Esty explores the lives of ordinary eightysomethings—their attitudes, activities, secrets, worries, purposes, and joys. Their stories illustrate how real people in their eighties are living and how they make sense of their lives. Esty adds her wisdom and perspective to this multi-dimensional look at being old as a social psychologist, a practicing psychotherapist, and as an eighty-four-year-old widow living in a retirement community. Eightysomethings is a must-read for people in their eighties, and also for their families. Adult children—often bewildered by their aging parents—need a wise guide like Eightysomethings to help them navigate their parents’ last stage of life with real-world guidelines and conversation starters. Readers, young and old alike, will find this first-of-its-kind book eye-opening, comforting, and filled with practical tips. Katharine Esty is a social psychologist, a practicing psychotherapist, a writer, and a change agent. She is the author of Workplace Diversity: A Manager’s Guide to Solving Problems and Turning Diversity into a Competitive Advantage, The Gypsies: Wanderers in Time, and Twenty-Seven Dollars and a Dream: How Muhammad Yunus Changed the World and What It Cost Him. The mother of four sons, she is focused on creating a new understanding of possibilities for living into old age. Esty, eighty-four, lives in a retirement community outside of Boston.